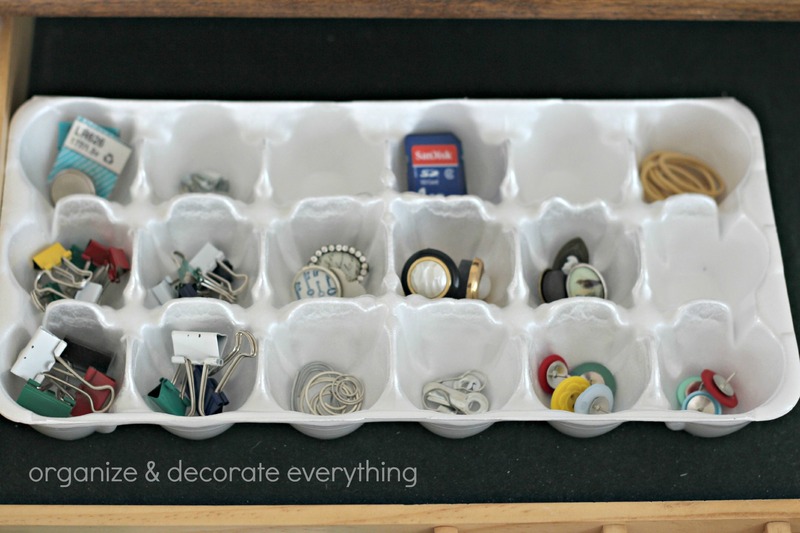 Welcome to Days 8 of 31 Days of Getting Organized by Using What You Have. 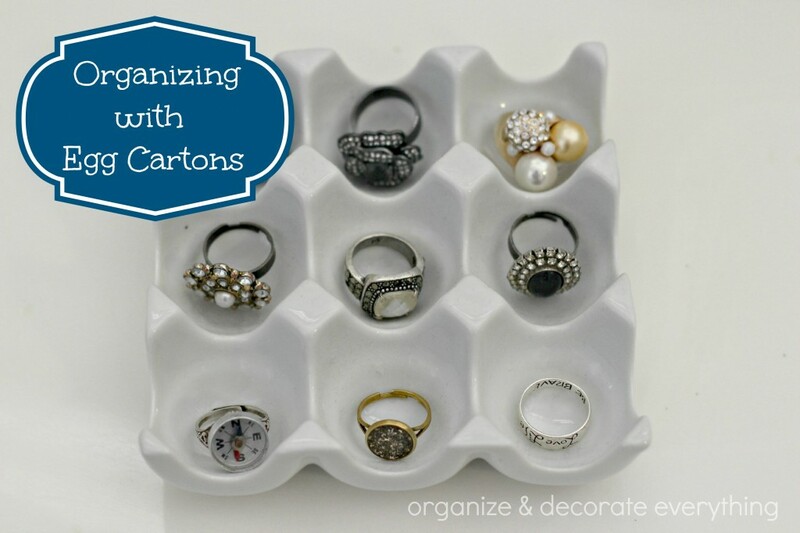 Egg cartons are perfect for organizing small items. 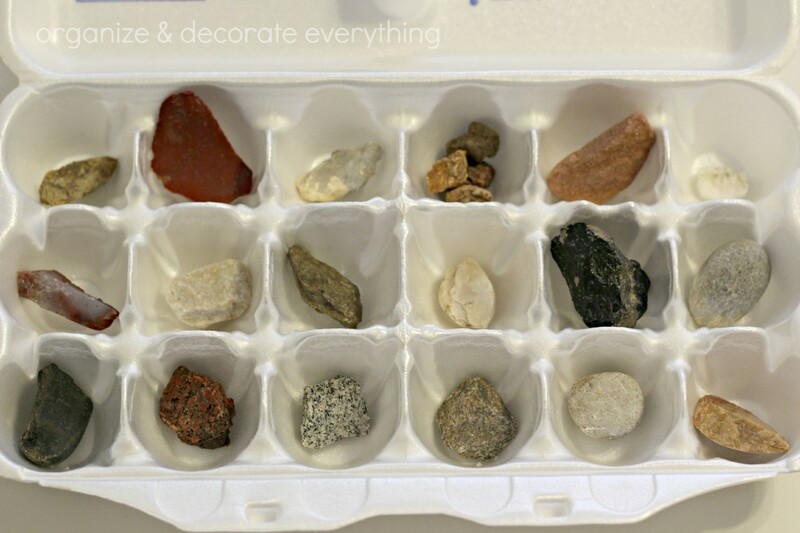 They also come in a few different sizes so they can fit in different spaces in all rooms of your home. 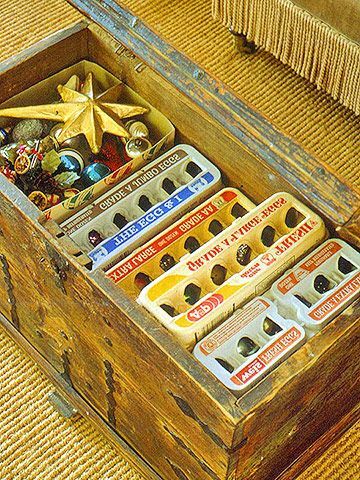 I found these ceramic egg cartons about 6 years ago for only $3 each, but regular egg cartons would work just as well. Spray paint them a glossy white and you can get this same look. I have a few of them in my bathroom for rings, bracelets, and earrings. 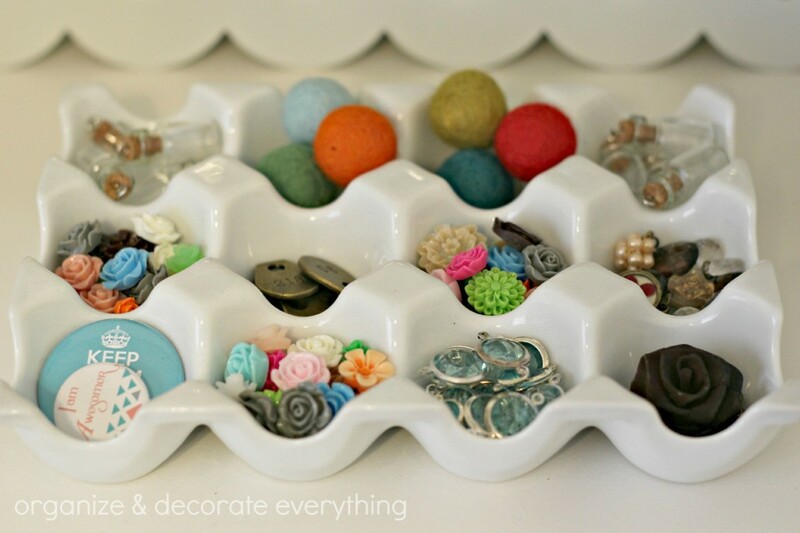 This one is in my craft room to hold small trinkets and jewelry items. It looks great sitting out in the open full of pretty little baubles. 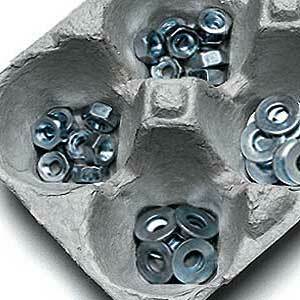 Cut the top off the egg carton and tuck it in a desk drawer to hold small office supplies and keep them organized. 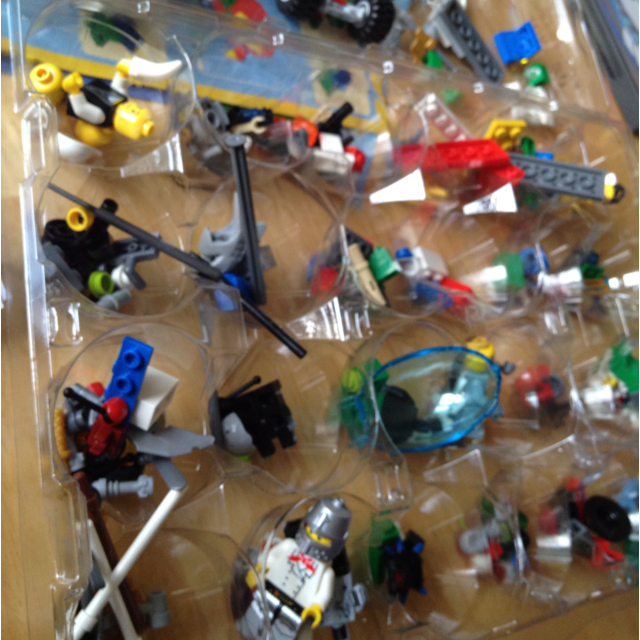 My kids like to use them for collections. They can fill them with their small treasures and still keep them separated. 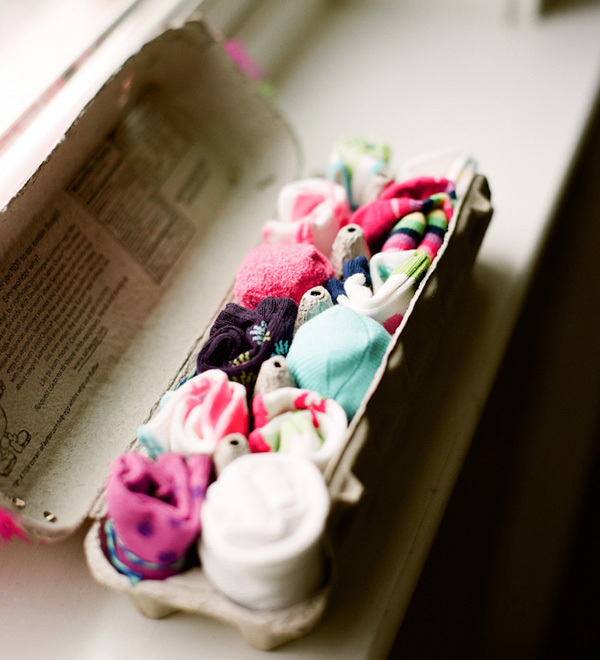 So don’t throw those egg cartons away. I’m sure you have some small items that need organized. These are great ideas. I especially like the one with the ribbon as I have tons of ribbon and never know how to store it. Again, an awesome idea. 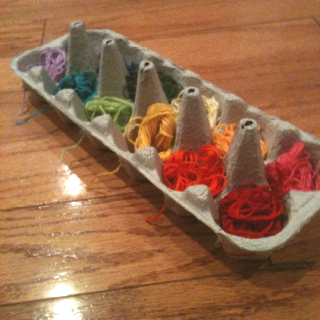 I always have egg cartons and never thought of this. I could put Holly’s hair bands and clips into these.